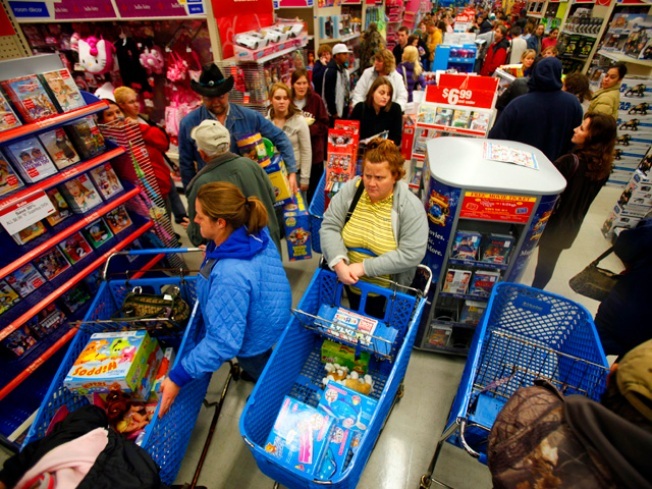 Black Friday holiday shoppers try to navigate crowded isles at Toys R Us in Camp Hill, Pa.
Today, the U.S. Public Interest Research Group unveiled a report regarding safety hazards when shopping for toys. According to the U.S. PIRG, many toys on store shelves pose safety hazards -- even though certain chemicals and small parts have been banned. The report also revealed that small parts found in toys made for children younger than three that could pose a choking hazard. For more information, click here. For more information, or to subscribe to ShopSmart, click here.